Have you ever heard the deafening noise of a moving truck with a cargo? Soon it will be remembered as an artifact of the ancient era when dirty and noisy tractor trucks frightened everyone with their roar of engines and sucked hundreds of liters of crazy-expensive fuel. A month ago Nikola Motor Company released to the public a design of a truck tractor of a new generation. This unique stylish machine is drastically different from current clunky diesel monsters. The company wants to leave imprint on the car industry and it seems to be true if to take into consideration that over 7,000 people were eager to leave a deposit of $1,500. This is not the only example of crowd funding in the modern automobile industry. For instance, Elon Musk received nearly 400,000 orders on Tesla Model 3. 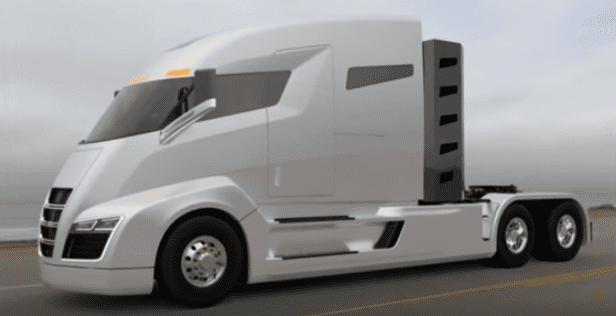 NMC announced that it had got about $2.3 billion only in preorders in the first month, including $375,000 on hybrid electric semi truck called the Nikola One truck. It is also hoping to get another $300 million of funding by the end of the year. You think that’s plenty of money but, in fact, it is a tiny bit of vehicle manufacture costs in the USA. So what are the promises of Nikola Motors? If to compare the technical data of diesel and NM electric trucks you’ll see a considerable superiority of “zero emission” technology. Although Nikola One is not a "pure" electric car, but its specifications inspire with respect: the truck weighs 8,600kg and it is equipped with a 2000-horsepower diesel engine and its speed reaches 96km/h in a minute and the electric analogue in only 30 seconds. The company also claims that the truck will be much better than any other modern semi truck down to the last detail and it will outperform its competitors in capacity, productivity, weight, speed, price, safety and staying qualities. The offer is really attractive. Although the tractor is far more expensive than a usual one but it pays itself off at the expense on the significant savings on fuel. The truck is sold in the lease for about $4,000 - $5,000 per month depending on configuration, but maintenance and fuel is for free for the first 1.6 million kilometerage. The monthly lease payment is paid off in just a few truckers travels. Drivers will be able to get free fuel for the first million of kilometers at one of the 55 brand-name gas stations located at key areas of the road network of the United States and Canada. It is assumed that the driver will meet a station every 500 miles while the minimum fuel distance is 800 miles. This is an offer that few can refuse, especially since a trucker is the most popular men's profession in the United States (there are about 3.5 million truck drivers in the country). Frankly, Nikola Motor plans do seem fantastic. Looking at the stunningly beautiful renderings, it is very hard to believe that the company will be able to set mass production of claimed trucks in the coming years. NMC will unveil its first prototype of the Nikola One on 2, December 2016 in Salt Lake City, Utah and reassures that everybody will be impressed by new technologies which can bring reasonable benefits for the trucking industry not only in the USA but also all over the world. In the meantime, you can choose medium duty trucks and trailers for low prices. Based on Nikola Motors information.